WIN! Nickelodeon Cushions & Tomo Izakya Dining Vouchers! Get the kids ready ‘cause the Nickelodeon Fiesta is back! As part of the Singapore Festival of Fun, the two-day extravaganza celebrates Clarke Quay’s rich history and the local passion for food. 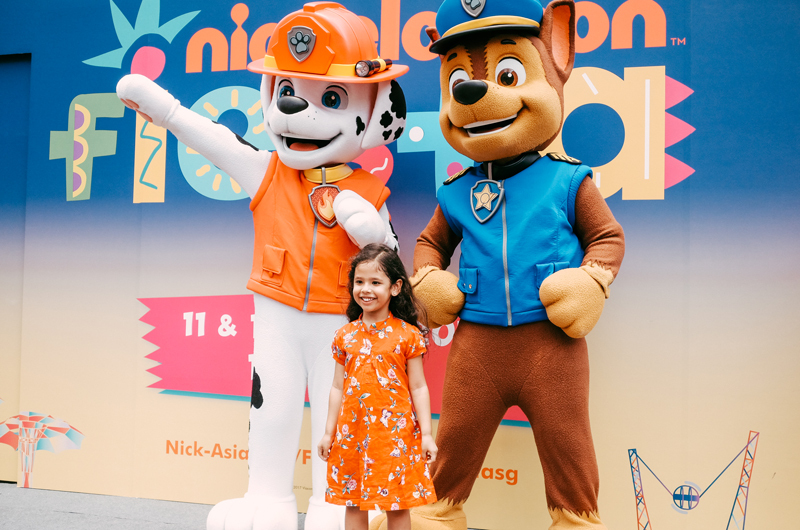 Exciting stage games and photo ops with popular Nickelodeon characters from SpongeBob SquarePants, Teenage Mutant Ninja Turtles and PAW Patrol! Win! We are giving away 5 sets of Nickelodeon 2-in-1 cushions and Tomo Izakya (Clarke Quay) dining vouchers! To stand a chance to win, simply tell us which Nickelodeon character is your favourite, and why. This has ended on 04 Mar 2018. Closing date for this contest is 4 March 2018. This contest is open to all Singapore’s Child online members residing in Singapore only. All details and particulars submitted must be accurate and complete. Any incorrect or incomplete information found in the entry will result in disqualification. Prizes are non-transferable, non-exchangeable for cash or any other products and may be substituted with any gift or prize of similar value. Prizes are limited to one per household. Only winners will be notified by email and/or post. Media Group reserves the right to select an alternative Winner at any time, where Media Group has reasonable grounds for believing that the initially selected winner has contravened any of these Terms. Any alternative winner will be selected applying the same criteria as that used to select the original winner. Media Group’s decision on the winners shall be final and no correspondence will be entertained. Media Group reserves the right to revoke prizes if the winner does not meet any or all eligibility requirements, even though an announcement may have been made indicating that person was the winner. ©2019 Key Editions Pte Ltd. All Rights Reserved.